Swift Current, SK: Four Swift Current Broncos prospects will represent their respective province at the 2017 WHL Cup in October. Of the 80 players scheduled to compete at the event, 72 were selected in the 2017 WHL Bantam Draft, including Broncos prospects Joel Sexsmith, Ben King, Ethan Hein and Wyatt Marlow. Sexsmith, a 15-year-old defenceman from Edmonton, AB was selected by Swift Current with the ninth overall selection in the 2017 WHL Bantam Draft and is currently playing for Northern Alberta X-Treme Prep squad in the CSSHL. King was the Broncos other first round selection, going 13th overall. 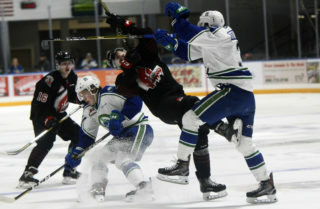 The 15-year-old product of Vernon, BC is currently playing in the BCMML with the Okanagan Rockets. Hein, the lone goaltender selected by the Broncos in the 2017 WHL Bantam Draft is playing for the Moose Jaw Generals of the SMHL after suiting up for Swift Current during pre-season action earlier in September. Marlow was the Broncos last draft selection in 2017, going in the seventh round, 211th overall. 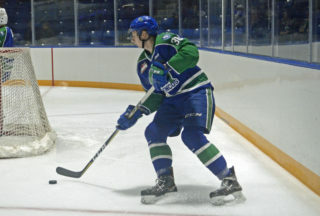 The Cranbrook, BC native is presently playing for the Okanagan Hockey Academy White Prep team in the CSSHL. 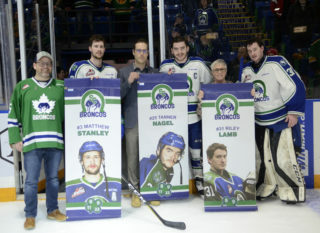 Broncos forward Logan Barlage suited up for Team Saskatchewan in the 2016 edition of the tournament and was on the 2016 WHL Cup All-Star Team after an impressive tournament. 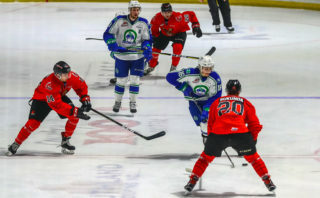 The Broncos head back on the road to battle the Saskatoon Blades on Friday, October 6th before hosting their much anticipated home opener against the Kootenay ICE on Saturday, October 7th at the Innovation Credit Union i-Plex. Puck drop is slated for 7:00pm. Season tickets and individual game tickets for the 2017-18 campaign are on sale now. 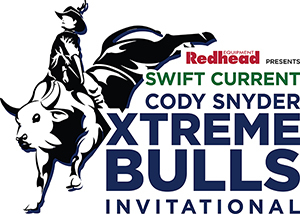 Purchase your seats by calling 306-773-1509 ext. 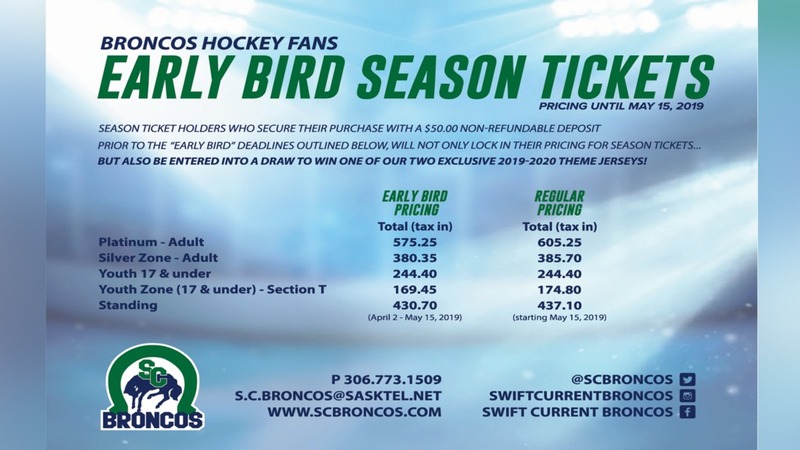 1 or buy online at tickets.scbroncos.com.